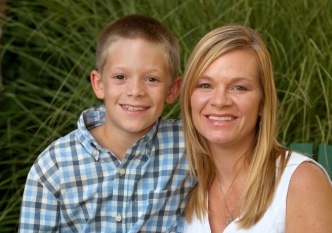 Shevawn is our friend, our customer, and a great single mom to a great son. She is also an active and vocal contributor to our community. She is smart, beautiful, and tough. And Shevawn is fighting breast cancer. She has been sharing her brave, raw, and moving story at Forever Changed ever since her initial diagnosis in June. Over the past four months, she has chronicled the awfulness and initial shocks of that diagnosis, her subsequent biopsy, her recently-completed chemotherapy, and her traumatic hair loss. She is due to begin radiation treatments later this month. Forever Changed is Shevawn’s very personal account of her cancer experience. It is also inspiring. We encourage you to go read her story and to share your support with her. Shevawn will turn 38 on October 15th – the same day as the Susan G. Komen “Race for the Cure” in Lexington.